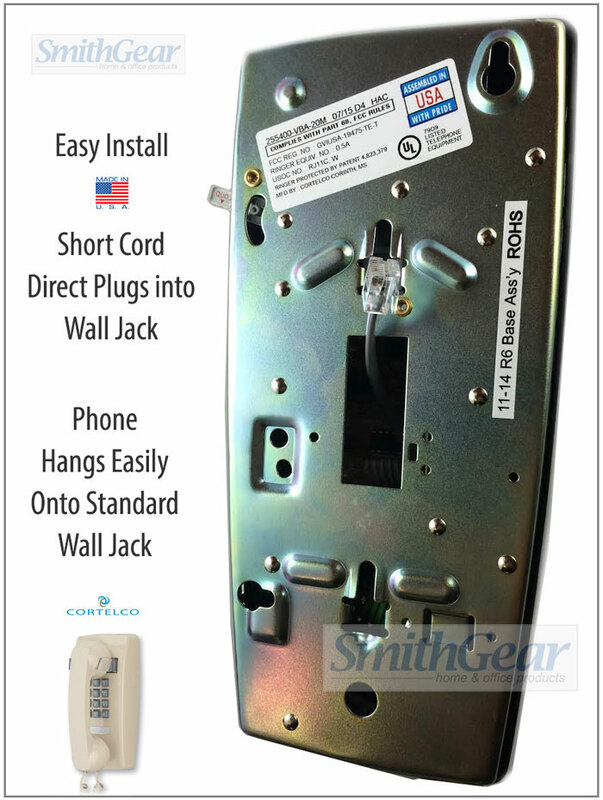 The Cortelco 2554 SLATE Wall Phone from SmithGear takes you back to a simpler time -- the 1980's. It's a basic wall phone that is simple, sturdy, and built to last. This new for 2016 "SLATE" color looks great in kitchens with Stainless Steel appliances.